The whole week had been pretty good, with a nice wind blowing and some really fun runs, as well as cool temperatures. However, come race day, and the Highman Curse was on full throttle. 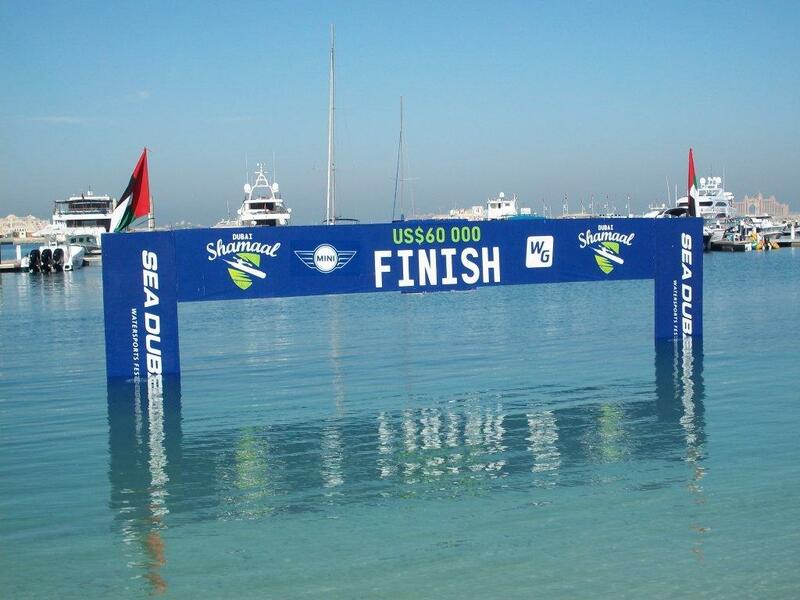 Hot, windless and of course, RUN-LESS! That been said, as a pro surf ski paddler you need to be able to race in anything, and the conditions were there for all to suffer in! I had a fairly average race, and never felt spectacular. A small detour with a tugboat and barge saw me lose much-needed time, and after an honest attempt to catch up, I think I burned up any spare reserves I might have had. Naomi Flood from Aus seemed to be coping with the heat and had a great day to finish just shy of a minute ahead of me, with the “Wind Killer” even less than that behind me. In the men’s race, Tim Jacobs showed that he is also the star of the Jacobs family (brother Pete recently won the Hawaii Ironman) to take the win from a strong Grant vd Walt (in his best ever showing at an international race!) and Hank MacGregor in 3rd. As usual the race organisors put on a great event, well done Andy Orr and your team. 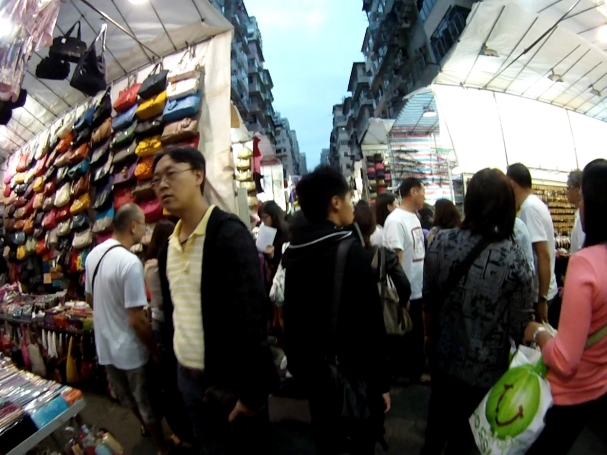 Raymond Lo of Nelo HK was super to me, thanks for your help and lifts! And of course thanks to Andre Santos for not only getting me to the event, but actually getting on the water and suffering along with TJ and I. Not many boat manufacturers and bosses will do that! 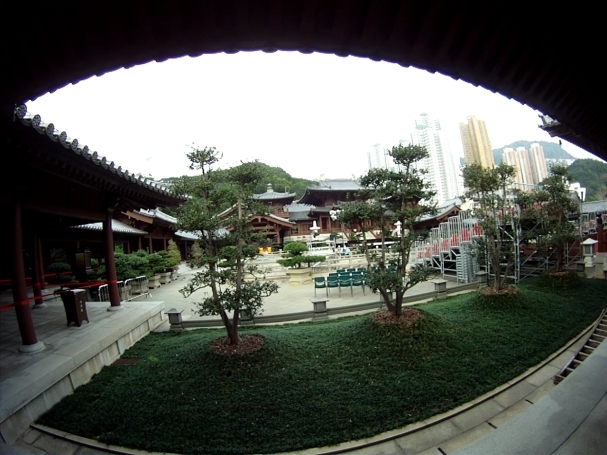 Sunday saw me trying to be a tourist, and I ended up at the Chi Lin Nunnery and the Nan Lian Gardens. Beautiful calming places to be, just a stone’s throw from the hustle and bustle of the city. I am stoked to be home again, and getting into a nice routine with training early and appreciating these hot summer (early) mornings. Next up is the CT WCup series races, and then the big one, Cape Point Challenge. 50km of fun, fun, fun! It’s that time of year again, when I am fortunate enough to jet across the ocean to some summer weather, and plenty of International racing! Thanks to my sponsors Nelo, I am sitting at George airport, and I am starting to chew my nails, as my first flight is delayed, and I have a connecting flight in Joberg to catch. My eventual destination (for the first part of this trip) is San Francisco, for the US Surf Ski Champs. It’s my first trip to the USA, and I am so excited. The race has, in the past, produced some amazing downwind conditions, and I am frothing to catch some runs, especially after the past few weeks of river racing on the Berg. You also get to paddle past some amazing landmarks, like Alcatraz and The Golden Gate Bridge. That’s one way to be a tourist! Yip that’s me on the race website! 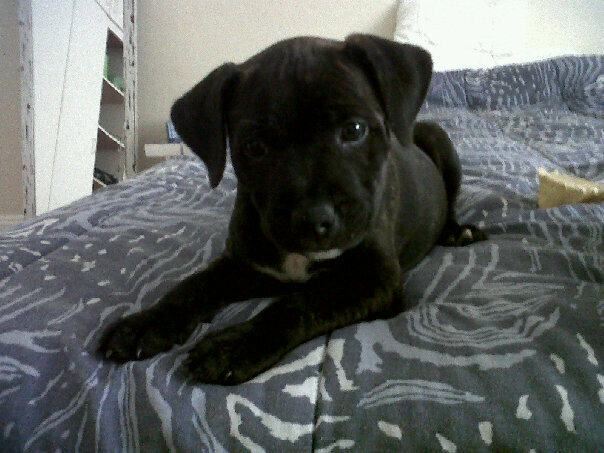 Cool hey? 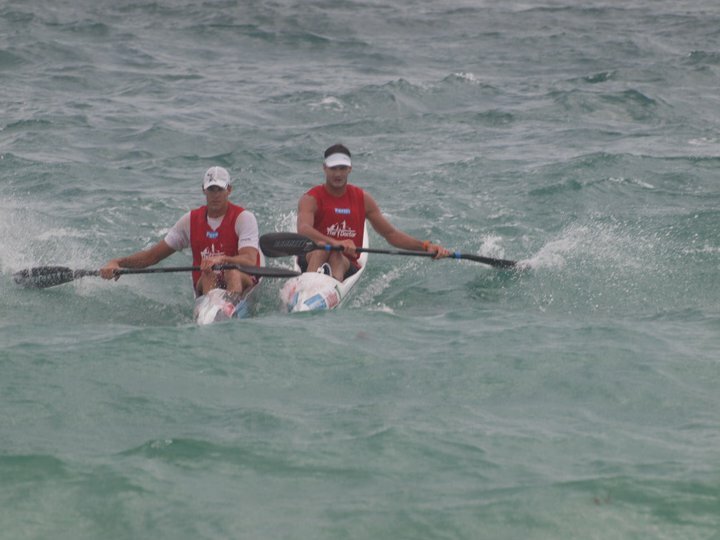 That funky Nelo Surf Ski got auctioned off after my string of European races last season. So, 4 weeks away from home, 12 flights in total, 3 countries, and 8 events! Should be awesome! Last year I still had an extra 2 weeks overseas as I had World Marathon Champs in Spain at the end of the trip! One year older, and hopefully a bit wiser, saw me shorten the trip somewhat. I was pretty buggered after that trip last year, and arriving home just in time to race the Fish River Marathon probably was the icing on the cake! 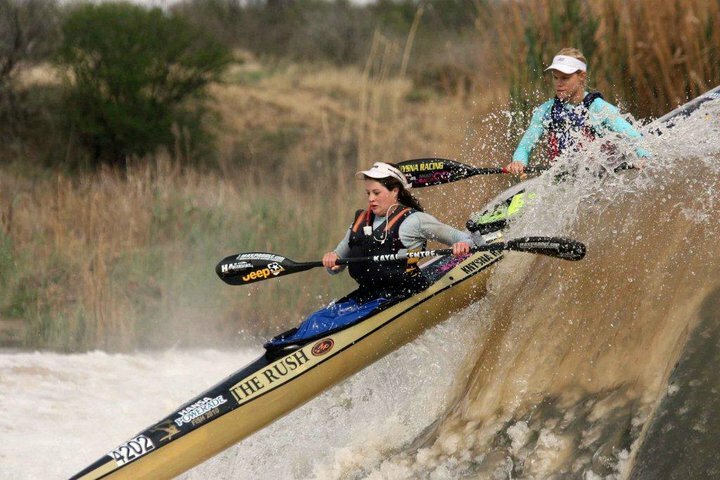 This year everything is a bit more spread out, with the 30th Fish River Marathon only in the 2nd week of October, and Marathon Worlds being a month later than normal, at the end of October. While I am travelling and racing, our National Sprinters will be trying to qualify for the London Olympics. I am holding thumbs for them! Today actually marks three years since we raced at the Beijing Olympics. Feels more like 10! 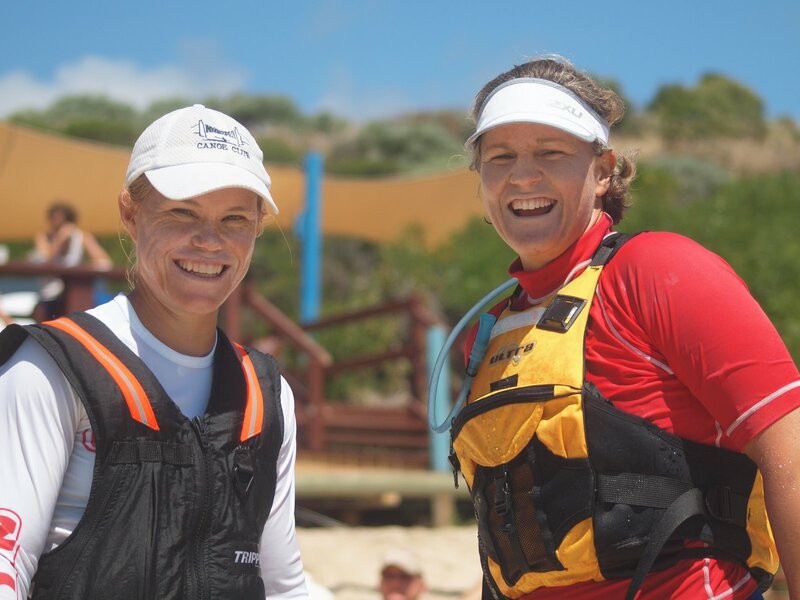 Last weekend also saw Hank win the Avon Descent in Perth, and Hilary Pitchford winning the women’s section. Well done you two! A whole bunch of South Africans where at the 75th Sella Descent in Spain, one day I’ll get there…. I had a nice break after the Berg, but recently have been struggling with a wrist injury. I have been having to improvise a lot in training, but am hoping the break has done me some good. OK, that’s it for now. Hopefully my plane takes off soon, so there isn’t too much of a mad scramble on the other side! 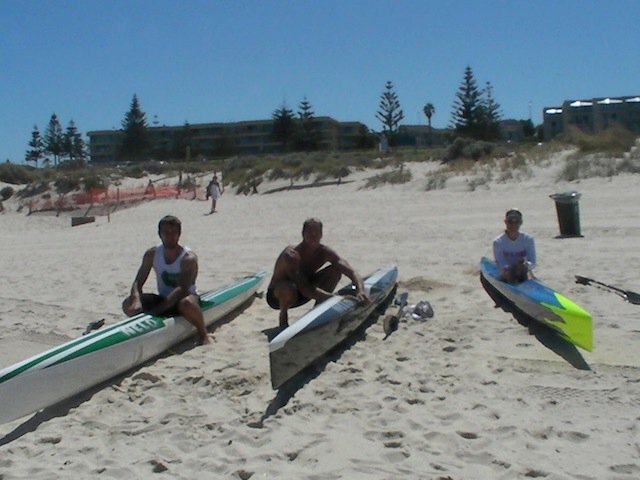 After The Doctor Ski Race, we went South of Perth, to Margaret River. Better known for its big wave surfing, we were there to do a ski race. Marg’s is a pretty cool place, reminded me of The Garden Route here where I live. Anyway, I am now back in SA, after a great time in Perth. I had a week off, and am now back into training. 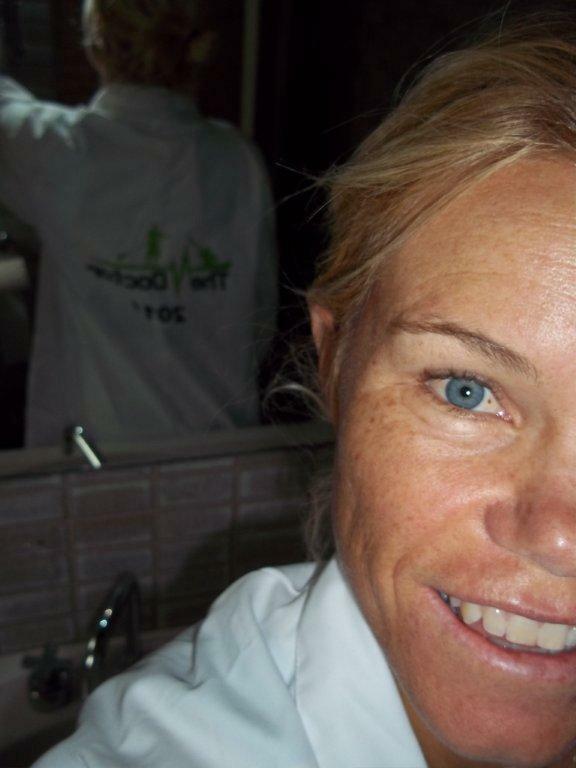 I have changed my whole approach, and will spend the next few blocks working on the neglected aspects of my paddling. So far I am loving the variety and change. Hope I can keep it up! My time in Perth has been great so far. Done lots of downwinds, had a team BBQ, tasted the local beer, and am fnally understanding the Aussies when they speak;) It’s a whole other English over here! 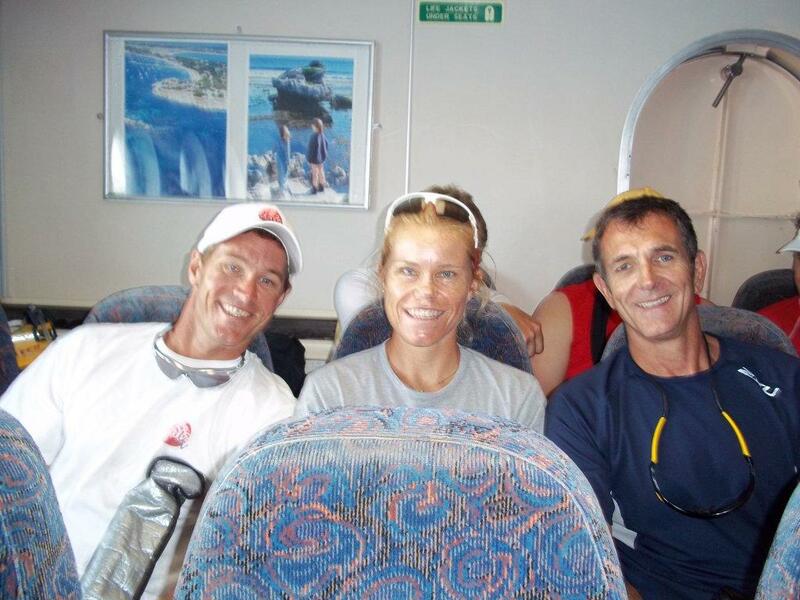 Team Nelo has been super organised, with Nigel and Jimmy being super managers, making sure we are well prepared. 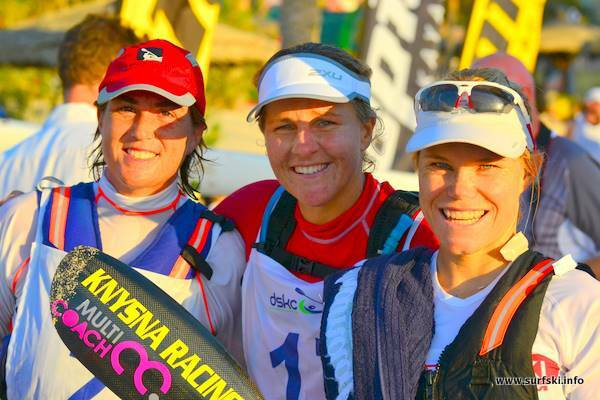 The race is really well run, with Dean and Yanda and their whole team putting on a fantastic event. 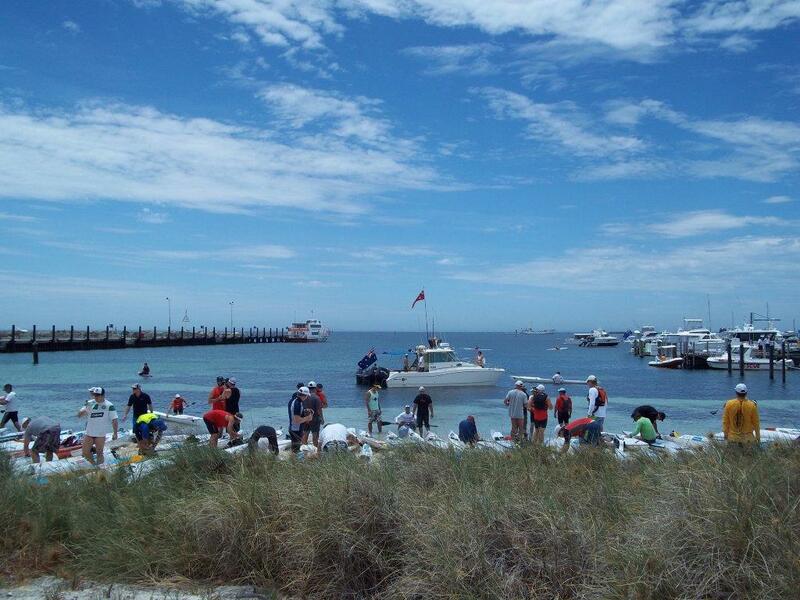 We got all our ski’s taken to the ferry and loaded up the day before for the trip over to Rottnest Island. After a good breakfast we boarded the ferry to get over there for the start. The wind wasn’t blowing quite as much as I would have liked, but it was still blowing. The main factor was the heat, as we went over at 1030, and were only starting at 1345, in the heat of the day but also hopefully the windiest part. The women were due to start 15 minutes before the men. I was hoping to have a real stormer and try not let them catch me, and be the first person across the line… Would have been classic to see the reaction from the crowd. Bernadette and Lauren tore off toward the Hotspot (at 1000m it was more of a “Longspot”). I managed to hang onto their wash, and then about 200m before the buoy that marked the Hotspot, I kicked and managed to overtake them and take (my first ever) hotspot! Then we turned left and headed across the bay, with a side chop and some small runs. 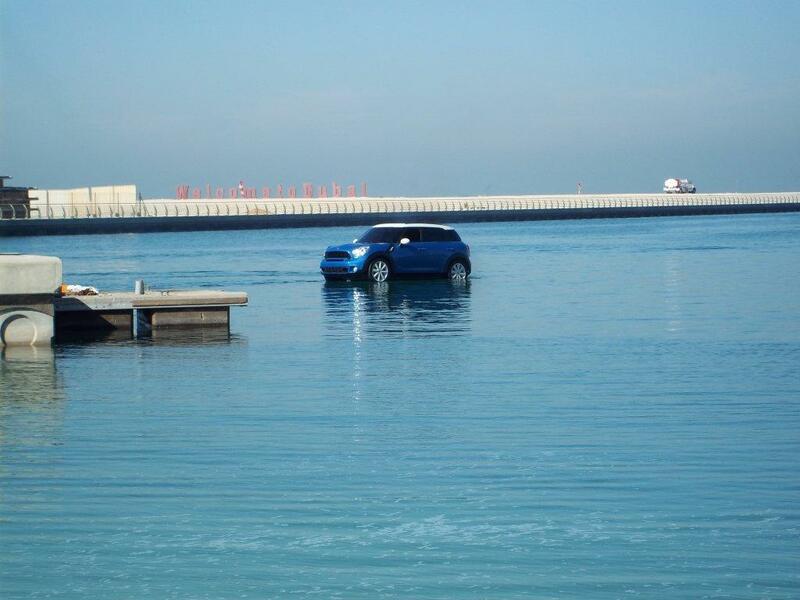 Luckily we had a lead boat showing the way, as I had no idea where I was going. I opened up a small 100m lead, from Krystal Smith. 11km along, and we could finally turn around the shipping lane marker buoy and head straight toward Sorrento Beach, and the finish, with the wind right at your back. I managed to string together a few great runs, and open up the lead somewhat. I was now in the front, whereas usually the leading men are in front of me. I had put a GPS marker point in my Garmin before the start, so I just followed the dial. My line felt ok, and about a kilometer from the finish, Bruce Taylor passed me on my left, with Tim Jacobs on my right. Such tight racing and I was stoked that Tim got the sprint up the beach. I was pretty happy with my race. I would have loved just a little bit more wind, and I really need to work on my concentration. Just under 2 hours is a long time to stay focused on one thing! 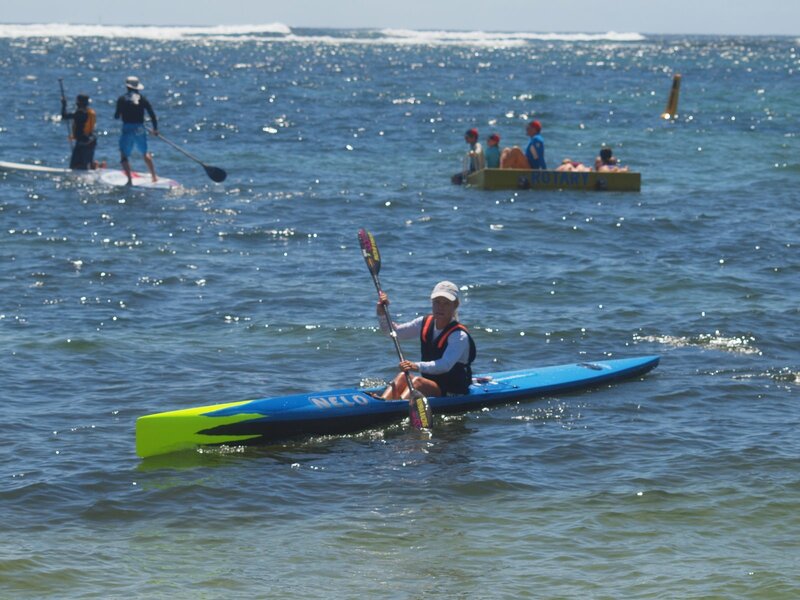 Below is a photo of my awesome Nelo ski with the lumo yellow nose! I came in about 4 minutes ahead of ironwoman Krystal Smith, with young Lauren Smith in 3rd. 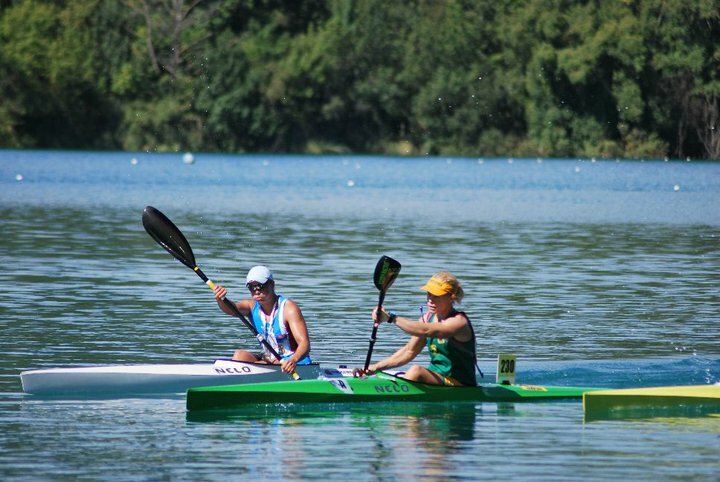 Team Nelo had a good day out with wins in both the male and female hotspots, and the men’s and women’s winners. I will try post the a link to the super cool video Bernadette made (she came in 5th). On Sunday we did the Finn Kayaks Relay event. I teamed up with Tim, and we managed to just beat Kirsty and Zane Holmes (thanks to Tim, I was a bit useless on Sunday). Andre and I paddled down from the halfway mark to the Sorrento, to round off a great weekend of downwind paddling. I am sticking in Perth for another week, staying with ex South Africans Tanya and James Mangold. There are 2 more races around here, so I will post some more news soon. Thanks to Andre from Nelo for getting me over here to Perth. I have always wanted to do this race, and it doesn’t disappoint!! 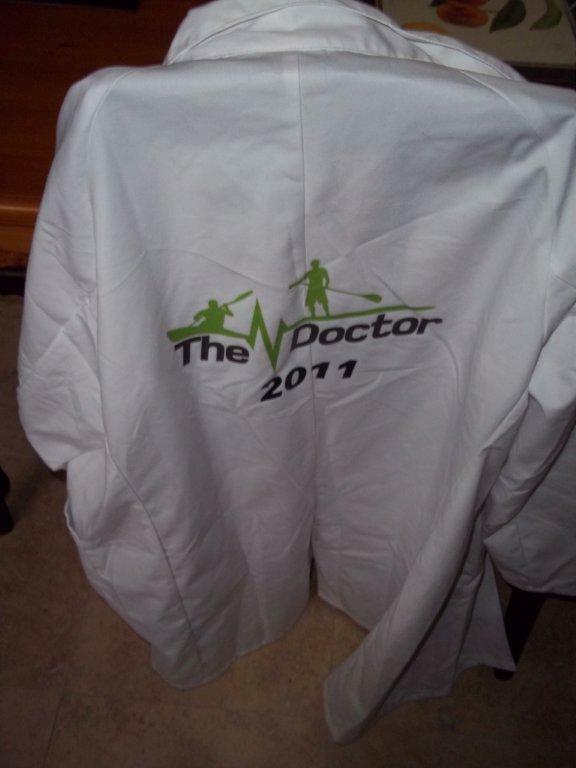 All the category winners received this “doctors” coat! Hoping for the wind to pick up again today, so I can have another crack at it with my uber-cool Blue and Lumo Yellow NeloSki. Then registration tomorrow, and finally race day. Although I havent prepared specifically for this event (more of just continued my training after my peak for Dubai, and ultra test at the 50km Cape Point) I am very happy to be here to race. The conditions look great, and the women’s field is looking to be the hottest ever! I love a good race! Wow, what a HOT race. Seriously the hottest I have ever been for 2 hours. I actually felt like my head was going to explode and to be honest I was hoping it would, just to end the suffering! Two days before the race I woke up with a raging sore throat. I took all the precautionary meds, like Echinacea and Vitamin C, lots of water, and slept for an extra 2 hours. It didn’t hold it off and the next day I woke up with a blocked head, runny nose, and stuffy chest. Lovely! The best part is that most of the sinus medication is banned according to Drug Free Sport. Now most of the ski paddlers aren’t on the program, and probably don’t even get tested. I however, have been monitored for the past 4 years, thanks to my flat water and Olympic background. So it was good old Olbas and Vicks to open my breathing bits! Woke up to NO WIND. I stayed positive and when the flags started to move I felt some relief. This was short-lived, as by the time we got to the race start venue, it had died off completely. As usual, a mad start. Not my greatest, but managed to catch up to Nikki quite easily. Just sat behind and conserved my energy. After we turned, I tried to stick to an outside line. Nikki went hammer and tongs, and opened a gap. I was wondering how I was going to finish, let alone win. After some nice, ice-cold Octane juice from PVM (which I luckily froze the night before), I felt heaps better and decided that sick or not, I didn’t fly all this way to come second. I put in a hard charge, and managed to haul her in and open up a gap. Se must have been having a bad patch, and the gap opened further. Then the beginning of my “desert death” started! I felt so utterly crap that I convinced myself that if I finished the race, I could stop paddling forever! Sad, yes. Amazingly I hit the last 4km of flat water first. I was quite far right and I could see Nikki to my left. It seemed the better line going into the current and her and another paddler closed a small part of the gap. I put my head down and tried to focus on my technique and make the NeloSki move into the current. I felt a bit better and went for a hard but sustainable pace. Looking behind me, I got that “hunted” feeling as I saw a group of paddlers putting the hammer down to chase me, with Nikki sitting on the wash. There was no way I wanted to be caught like that, and I tried to hold them off. Luckily the finish came only just soon enough, and they all finished 20m behind me. Totally shattered at the finish, I couldn’t get any air as it felt like my throat had closed off. Took a while to feel human again. It’s always great to race someone who never gives up, and Nikki never did! Relief is an understatement, and I was really happy to get off the water! Ruth Highman from Perth was 3rd, with Chloe Bunnett in 4th. The Think guys had a stormer with Ben Allen winning and Sean Rice in 3rd. Dawid, the most consistent guy on the paddling circuit for sure, was 2nd, and won the Overall ISPA Title again! Thanks to Andre and the Nelo Team for the awesome ski (very cool branding) and team kit and VIBE! Well done to Ben Brown, a total newbie to ski paddling and getting a top 20. 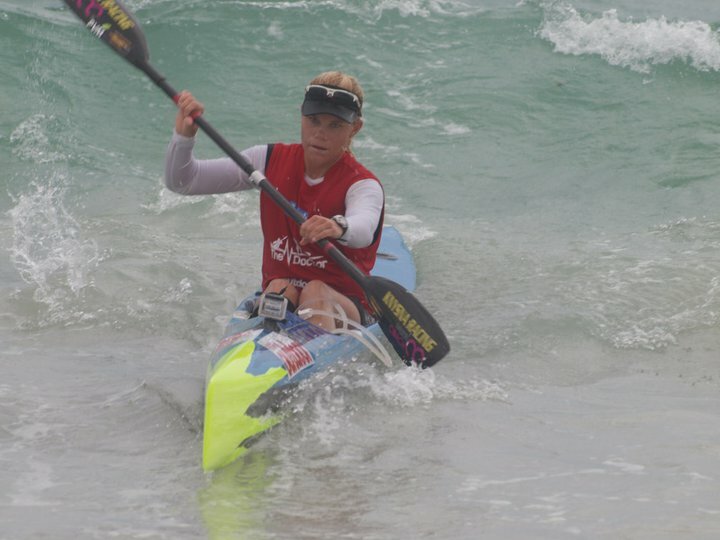 I flew home Saturday, and caught the final race of the Discovery/Sunglass Hut Series at Fish Hoek beach. 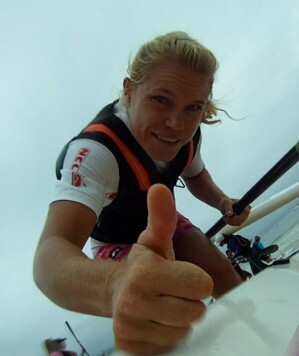 Felt horrendous to try and paddle with fatigue and sickness, but all I needed to do was to finish to take the Series win, so I maintained a steady pace with a pre-determined heart rate, and enjoyed the downwind on the way back in from the Lighthouse, to get 2nd behind Nikki. I am back in Plett now for some R&R, then it’s back to CT for the Cape Point Challenge.